Faced with achieving top ranking, high value PR backlinks, we overdeliver on national coverage for Jennings Motor Group. The established car dealership group ramp up their brand awareness for accelerated results. Jennings came to Zazzle Media, looking for a strong PR and content campaign – designed to gain quality backlinks, to drive authority and importance to the car parts and accessories brand. Zazzle Media needed to create content with unique data, so that Jennings Motor Group could stand out from competitors and aggregators in their space. Their audience insights revealed that long form and short form content would equally well, so we set out to find a unique angle that could apply to all drivers, and had easily digestible content that could attract credible links on a national, regional and industry scale. 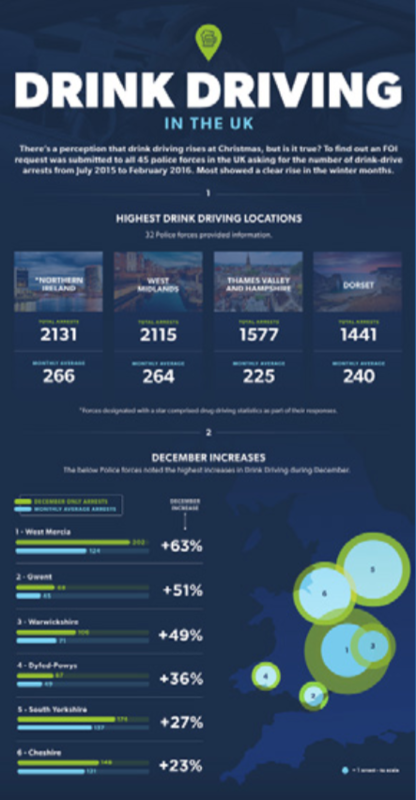 As part of the wider PR campaign with other driving themed content, Zazzle Media created a unique infographic focusing on seasonal drink driving themes, from police data across the UK. With this noteworthy data and a human-interest angle, we used the infographic created for a thorough PR and link building exercise. Our initial aims were to achieve at least three high metric placements – links that has scored over 40 out of 100, in their trust and citation scoring. We also aimed to get at least four regional news placements, similarly high in value, and with all placements combined, we aimed to reach 10 million on Hitwise – a measure of how many visitors a placement site can reach. We managed to gain huge relevant links with the data, including national placements – the unique content reaching farther and wider than anticipated. National coverage included links and articles on The Mirror Online (a tremendous trust score of 76/65), and the Huffington Post (incredibly high quality link, with 59/49) and those two links alone provided 94 million eyeballs on Hitwise. 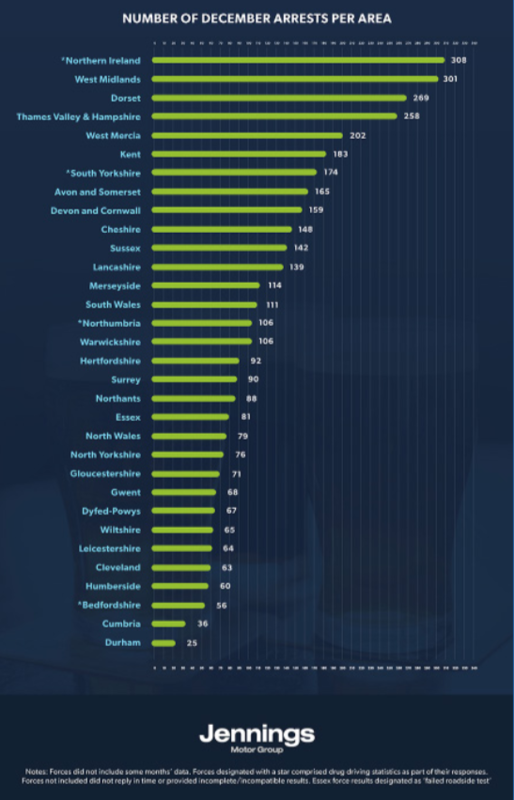 As the content dealt with regional statistics for drink driving, we had success with regional placements, who focused on the relevant area statistics – we overdelivered on targets, by securing 7 regional placements spanning Somerset Live, Belfast Live, The Dorset Echo, The Bournemouth Echo, Bridgport Live, The Torquay Herald Express and Echo News. These credible sites provided approximately 64 million screens for Jennings’ content to appear! Overall the campaign showed huge over-delivery across the board, pushing amazing link equity back to the Jennings Motor Group site, through the credible, relevant links gained with their unique content.